I have asked some of the top travel influencers for their recommendations on the best things to do in Italy which include a good mix of food, adventure and history! 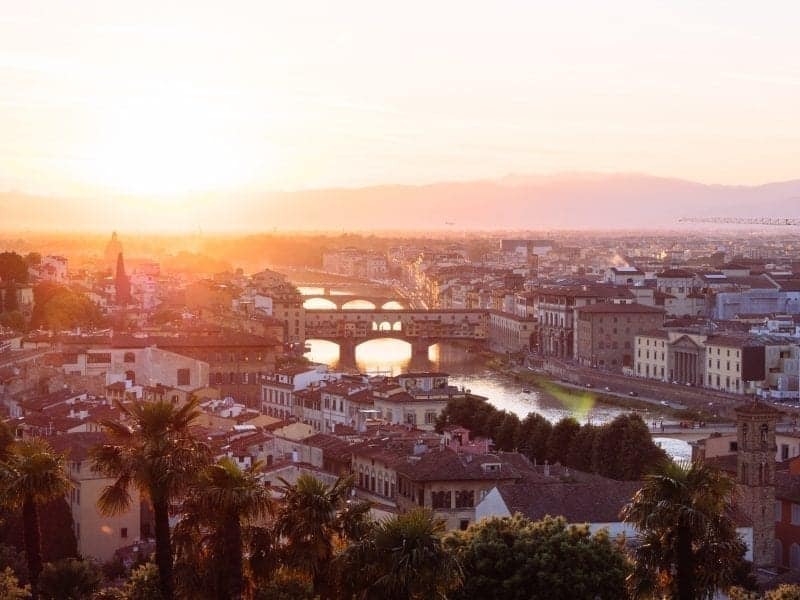 Top tip: If there’s one piece of advice I could give you about Italy, it would be to visit the big cities like Rome and Florence during Spring or Autumn, as Summer can become very crowded and extremely hot and unbearable. Here’s your ultimate list of the best things to do in Italy! Enjoying the countryside by Vespa is one of the top things to do in Italy! We loved our morning spent zipping around the streets of Florence and the Tuscan countryside, watching the vineyards, olive trees, rolling hills, and Tuscany homes fly by. 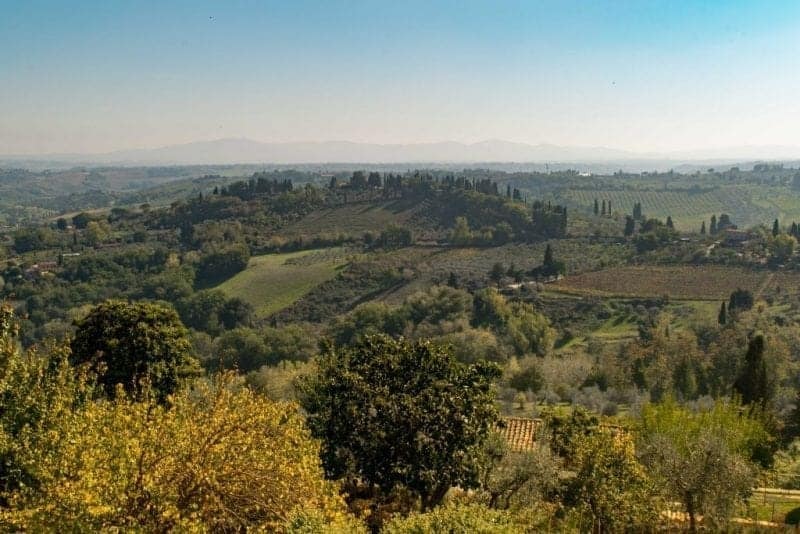 It was an incredibly freeing experience to feel the wind in our hair as we moved through the day, and we can’t imagine a better way to see the Tuscan countryside than from the back of a Vespa. Neither of us had any experience on a Vespa before our time in Tuscany, but it was easy enough to pick up, and it didn’t take long until we were moving through the streets with ease. If you love truffles – those gnarled knots of earthy goodness – one of the most unique experiences you can have in Italy is to hunt for them in the wild. The actual hunting and digging is done by a trained truffle dog (pigs are no longer used in Italy), truly man’s best friend when he goes nose-to-the-ground and comes up with a large one between his teeth! 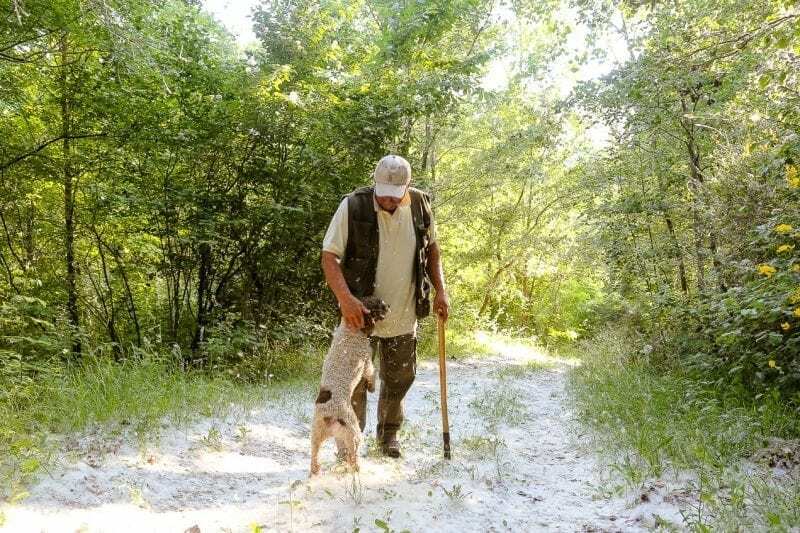 Local tour operators in Bologna and Emilia Romagna will take you on the outdoors hunting adventure, where you’ll meet the truffle hunter and his dog, learn about the long tradition of truffle hunting and the methods they use to train the dog. After your hunt and a great day in the countryside, they’ll arrange for a delicious dinner at a local restaurant where the Chef will prepare your favorite dishes featuring the day’s truffle finds. 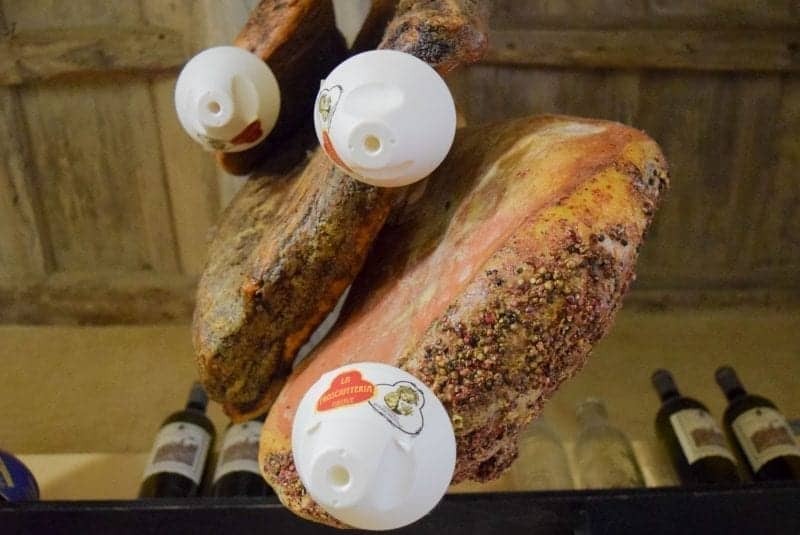 It’s one of the most mouthwatering food tours in Italy! 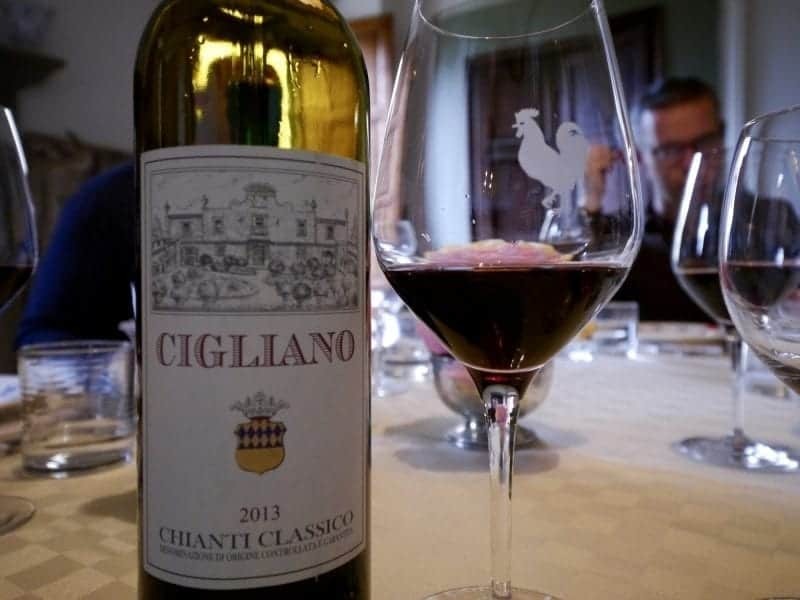 Tuscany is well known for its wines and any time spent in Tuscany would not be complete without a visit to some Chianti wineries to learn more about Chianti Classico wines. One of the best-known wineries in the region is Antinori, also considered as the world’s 10th oldest business and still very much a family one. The winery is state of the art and a great place to start off. But do not let Parker’s Super-Tuscan labelling of some of Antenori’s wines impress you and make sure to try the wines from well-established and historical Chianti Classico appellation which are traditionally made with Sangiovese, Canaiolo, Trebbiano and Malvasia, the last two white grape varieties. You will recognise them because of the characteristic rooster symbol on the bottle. Lake Garda is blessed with an amazing passenger ferry network, that connects the idyllic towns that line Italy’s largest lake. 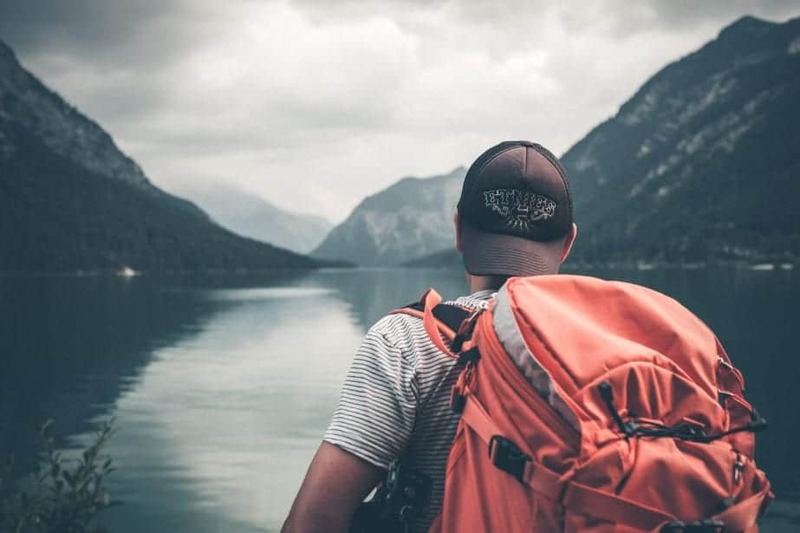 Travelling by ferry saves you from the stress of driving on the winding Italian roads, and allows you to enjoy the spectacular lake views too. You can design your day to include multiple stops, spending a couple of hours in each place, then hopping on to the next. Sirmione is the most famous of southern Lake Garda’s gems. Set on a peninsula jutting in to the lake, this picturesque town has hotels lining the port, and extensive fortifications in the form of Castello Scaligero surrounding the old harbour. 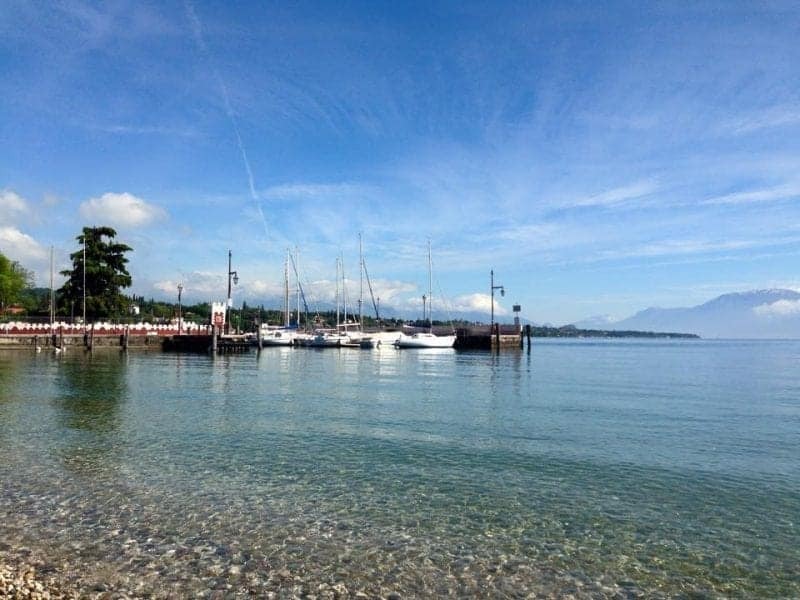 Bardolino, on the eastern side of the lake, is excellent for shopping – especially leather-goods. And Desenzano, in the south-west, is a lively town with plentiful parking (if you need to park up to catch your ferries), and many restaurants to sate you after a busy day of ferry-hopping. 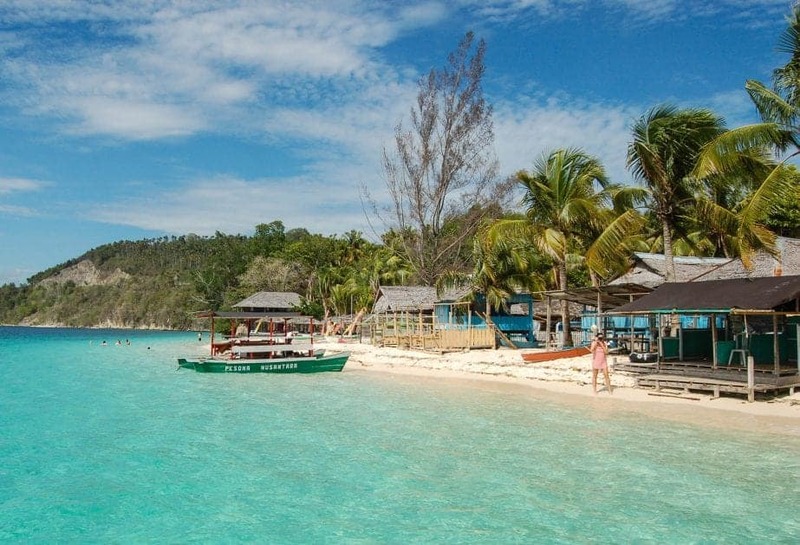 Note: The ferries during high-season get very busy, and it’s a first come, first served basis for boarding – so be prepared to elbow your way on board! 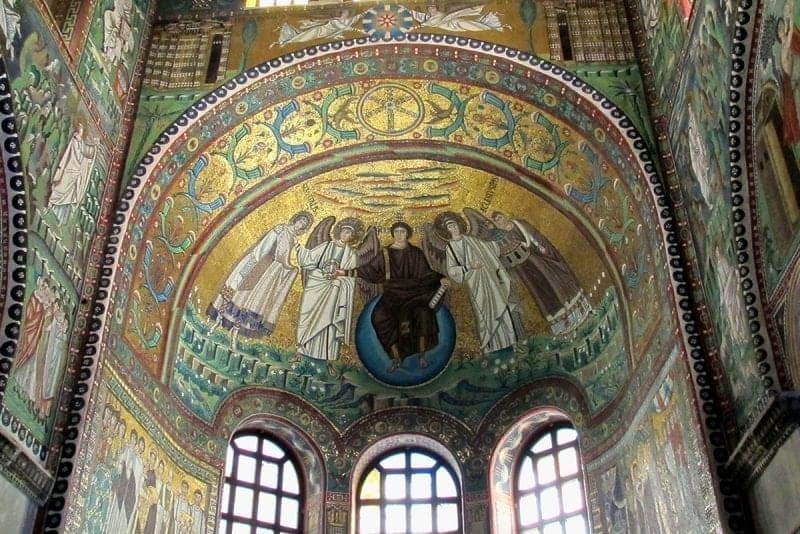 Ravenna, on the Adriatic Coast between the provinces of Bologna and Forli in Northern Italy may not be as famous as Rome or Florence, but with its graceful domos, pretty palazzos and Italy’s most dazzling collection of early Christian mosaics, it is a goldmine for lovers of art, literature and history. This remarkable city, once the capital of the Western Roman Empire, the Ostrogothic Kingdom and the Byzantine Empire, is littered with the spoils of its glorious past, including eight World Heritage listed monuments. Visitors will be enchanted by foreboding basilicas and baptisteries that that are a bedazzled riot of sapphire blue, turquoise, red, white and gold tiles on the inside. Lovers of literature can make the pilgrimage to the neoclassical tomb of the divine poet, Dante Alighieri and the Dante Museum in the neighbouring Franciscan Cloisters of the Basilica of San Francesco. The city’s food is as astounding as its art and culinary travelers can indulge in local dishes such as cappelletti (filled pasta), piadina (flat bread) and fish soups. When I visit a new city one of the first things I like to do is take a free walking tour around the town. This is great because you get to walk around town and get your bearings and also learn a bit more about the city from a local. Free walking tour Rome have three different tours. The Vatican tour runs Monday to Saturday at 10am. The Colosseum tour runs Monday to Saturday at 4pm. The City tour runs Sundays at 10am and each lasts two hours. The tours are enjoyable and go rain or shine so be ready to walk! The guides are extremely knowledgeable and will give you a lot of information about different sites such as the Spanish Steps or the Colosseum. 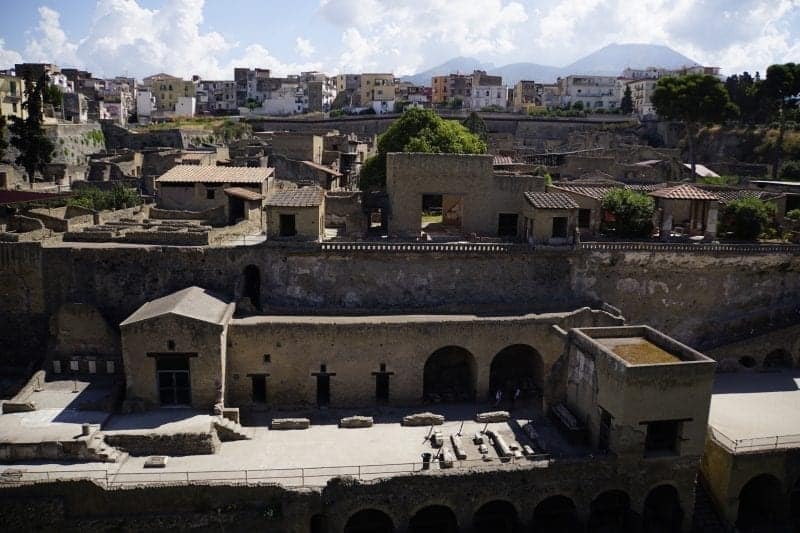 Pompeii and Herculaneum are famous for being devastated by Mount Vesuvius in 79 A.D. Now, they are perfectly preserved time capsules of Ancient Roman life. Pompeii is a sprawling area and they keep uncovering more. It would be easy to spend a full day at the site, as there is so much to see. We would recommend a guide to get the most out of your visit and really understand what you are looking at. Herculaneum is much more compact and easy to see in a half day. The audio guide here is excellent as well, so a guide isn’t necessary. Herculaneum is also much less crowded than Pompeii. Both sites can be reached easily from the local trains and are well worth exploring. Over 2,000 years ago Greeks ruled Sicily and left their mark. 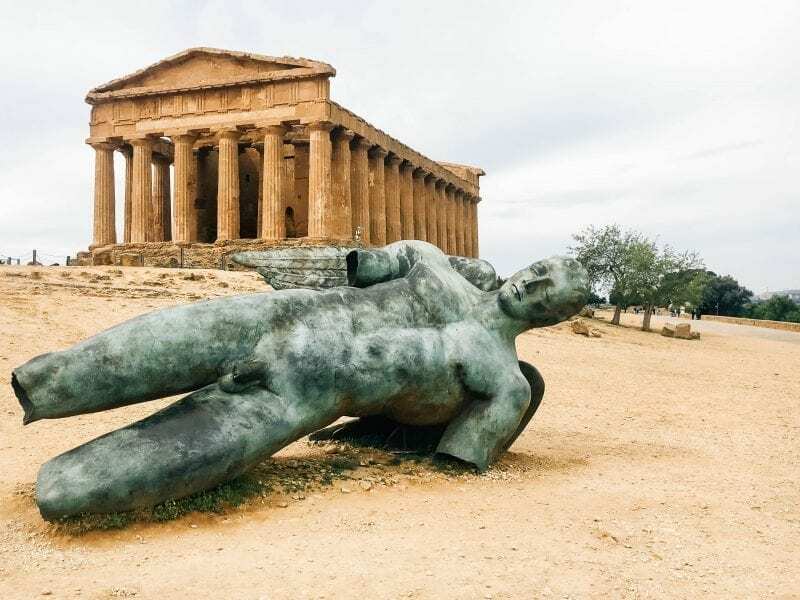 You can walk among some of the best preserved Greek ruins in Europe near Agrigento at a site known as The Valley of the Temples. This area was once the ancient city called Akragas. It was home to around half a million people before being abandoned after the fall of the Roman Empire. These days you can walk among the ruins of their civic buildings and even a huge bath house. Rising majestically over the site is the incredible Temple of Concordia that celebrates the goddess of harmony. It is a breathtaking sight and a highlight of any trip to Sicily, Italy. Many Italy visitors skip Milan, thinking it’s a grey and boring city, but as a local I want to reveal you a secret about my hometown – street food in Milan is amazing! One of the coolest things is that you can find street food from all over Italy, as well as lots of international specialties, without having to travel too far. Naturally, summer is the best time for street food – the Navigli areas are one of the best places, with lots of food trucks and restaurants selling takeaway specialties, or you can head to Chinatown for some Asian-inspired street food dishes. Two of my go-to street food places in Milan are El Caminante, making Venezuelan arepas, and Il Biroccio, an ape car dishing out Milanese risotto with saffron. Milan’s street food scene is not a famous as that in Naples or Sicily but trust me… it’s just as good! Verona still feels like a Shakespearean town, strolling around the streets you can almost feel the romance in this “city of Love”. You can recall the main moments of the timeless and tragic love story of Romeo and Juliet in Verona. Even though William Shakespeare had set two plays here – The Two Gentlemen of Verona and the wonderful love story between Romeo and Juliet that the city is best known for, it is said that Shakespeare never visited. The most famous spot to visit in Verona is Juliet’s House. The building dates back to the 13th century, and has the Capulet’s emblem on the external façade. A gate opens onto a covered space where lovers from all around the world leave their messages. The walls and panels are covered with writings, locks, notes and cards. 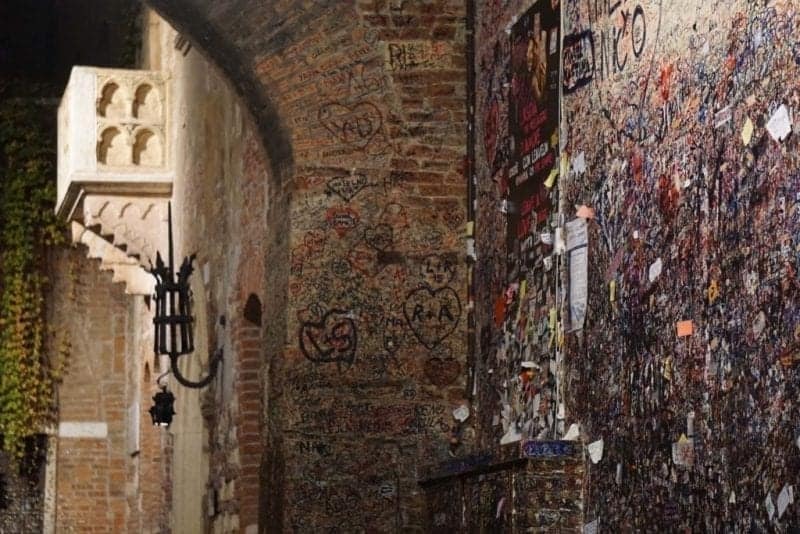 Every year, thousands of letters addressed to Juliet Capulet arrive in Verona, where the volunteers of Juliet’s Club read them all and answer to each one of them in Juliet’s name. The powerful love between Romeo and Juliet continues to inspire and fascinate lovers all around the world. Naples, in the South of Italy, has something for everyone. If you love nature, then you shouldn’t miss the chance to hike to the top of the world famous Mount Vesuvius, a dormant volcano: the Gulf of Naples seen from above is absolutely beautiful! For those who like to explore a new area through its food, then defintely try that in Naples, the city where pizza was invented! This region has the highest number of traditional recipes in Italy… and top ingredients like mozzarella di bufala or fresh ricotta cheese. The many spas in Naples also offer a relaxing haven for those who need to unwind, away from the huge crowds. 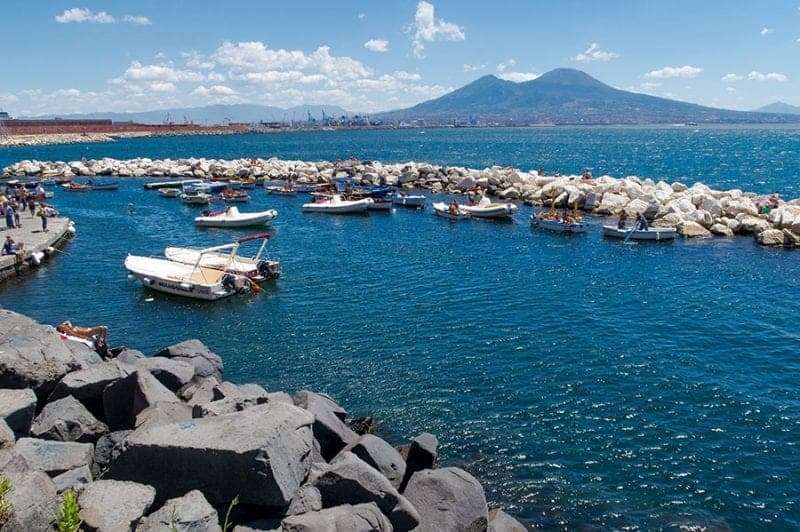 Those on the Posillipo hill, in particular, overlook the harbor and the Gulf of Naples, offering the best experience ever! 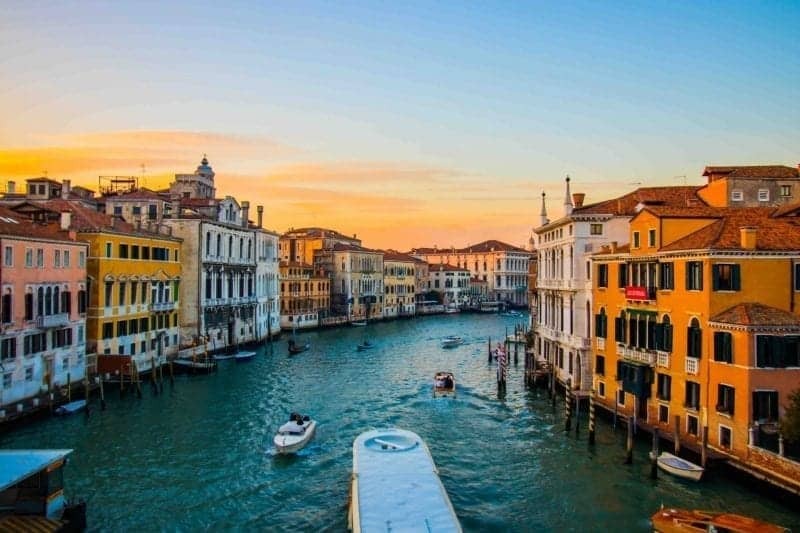 If you are visiting the iconic city of Venice then enjoying a spritz along the canals is a must do in Italy. A Spritz Veneziano is a wine-based cocktail served as an aperitif in Northeast Italy. The drink is typically prepared with prosecco, a dash of some bitter liqueur, and finished with soda water. Spritz are very popular in Venice, as well as many other Northern towns. A day in the city is not complete until you have tried at least one in the company of good friends with great views. The best thing about a Spritz is they don’t cost a fortune. For just €2 you can enjoy a refreshing glass while in Italy. Just don’t have too many and fall into a canal! Not only does the Amalfi Coast have sensational beautiful scenery; but the region also offers unique bucket list experiences that should not be miss! The best way to explore the Amalfi Coast is by Vespa. You can easily hire a Vespa in one of the little towns situated along the coast. Simply road trip your way from one town to the next, stop in at all the beautiful little beaches and see if you can spot the stunning Furore. Add on some more adventure with a daytrip to the famous Capri Island and be WOW’ed by the truly extraordinary Grotto Azzurra. 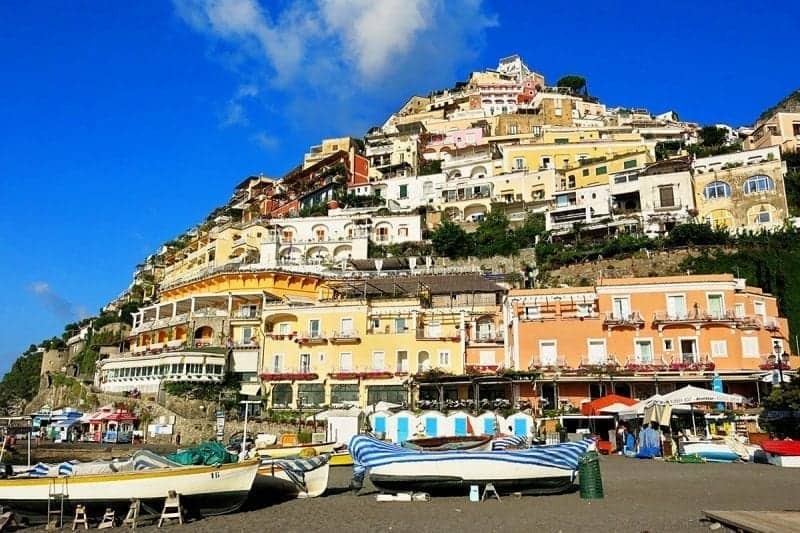 Amalfi Coast might be an expensive destination to visit in comparison to other regions in Italy, but it remains to be one of the areas that will impress you the most! 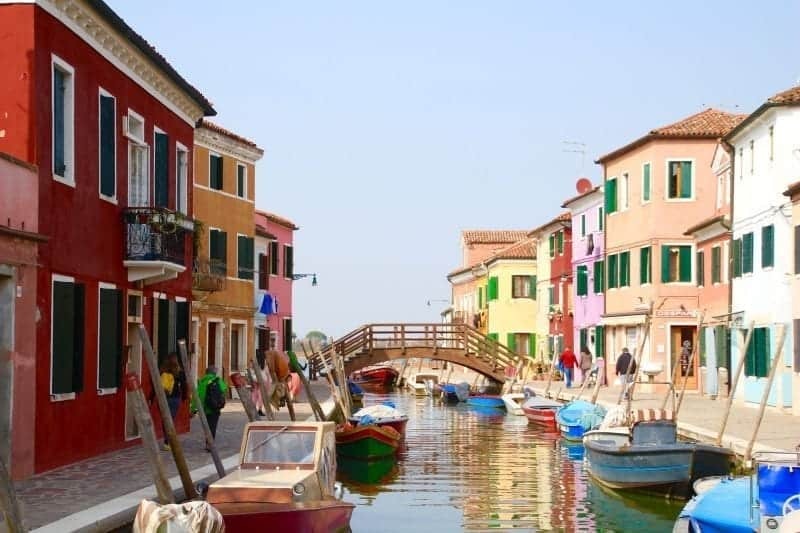 Located in the Northern Venetian Lagoon, visiting the colorful island of Burano is like stepping into a rainbow. 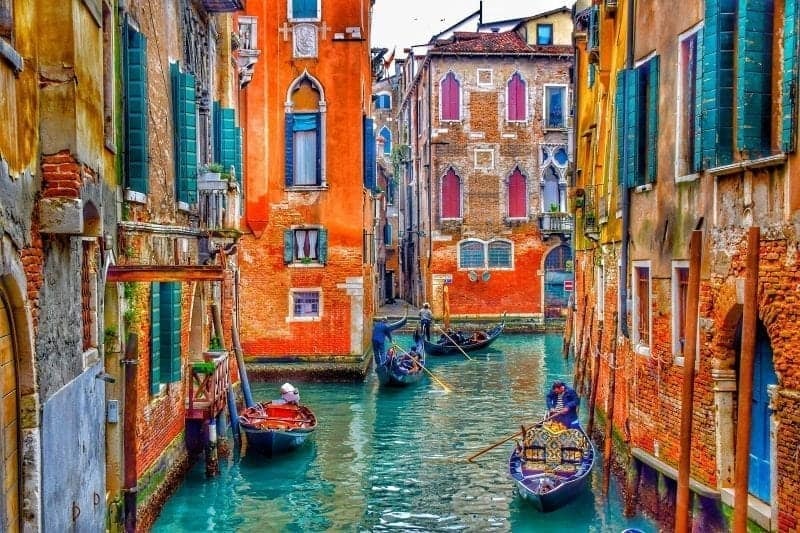 A 45-minute vaporetto ride from Venice makes picturesque Burano an easy day trip to escape the hustle and bustle of Venice’s over-crowded attractions. Step off the boat to meander Burano’s narrow alleyways, marvel at the vibrantly colored houses, crisscross over numerous pedestrian bridges, dine on local seafood dishes and peruse the local lace shops (Burano is famous for handcrafted needle-lace and often local women will be hand-stitching intricate lace designs in the shops). Visit mid-week as the weekend tends to bring loads of tourists to this colorful Venetian island. When visiting Italy, there’s no better way to get to know the city you’re visiting than a walking food tour. Not only will your guide give you background on the area but they will also take you to some out of the way, truly authentic food spots. 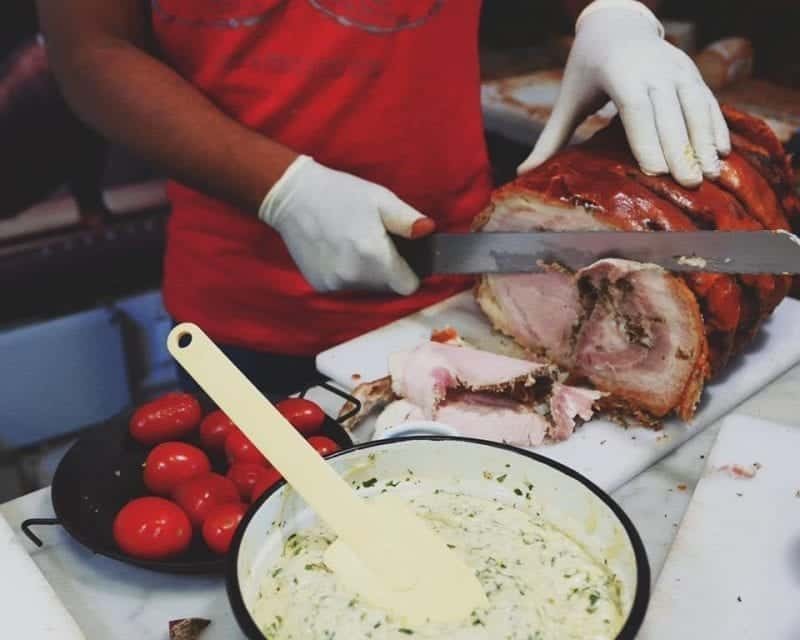 When planning your trip, check to see if Curious Appetite runs tours in your city. I love that their tours are small groups led by sommeliers, art & history experts, food connoisseurs, drink enthusiasts and passionate cooks. It makes all the difference when your tour is led by an excited foodie with real knowledge of the area. If you’re looking for a quick overview of the history and food of a city you can do a half day tour but I always try to do a full day tour if my time allows. 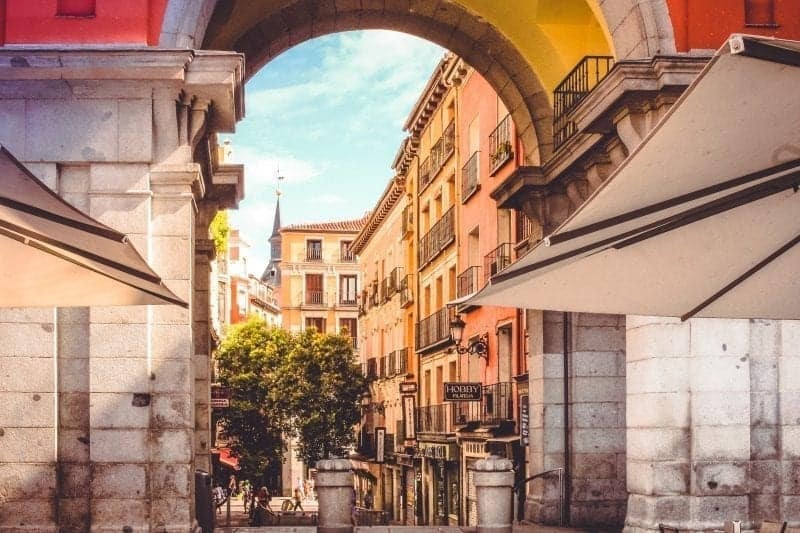 This allows time to visit markets, try local wines and cocktails and craft beers, and more food than any one person generally needs in a day! Florence is one of my favourite cities in the world and it is difficult to pinpoint why I love this place so much. But one of the best things to do in Italy, and one that I absolutely love about the city, is the panoramic view of the city from the top of the Piazzale Michelangelo in Florence. I am pretty sure that you would have definitely seen one photo of it since that is the poster staple when it comes to photos of Florence. But photos cannot do enough justice to that place. There are many ways that you can get to the top. You can hike upwards for around 40 minutes from the city. Or you can drive yourselves up there. We took the easy way out and took the bus to and from the place and takes approximately 20 minutes one way. Once you are there, don’t forget to check the replica of David there. I am always on a lookout to enjoy unique things and have wonderful experiences in life. 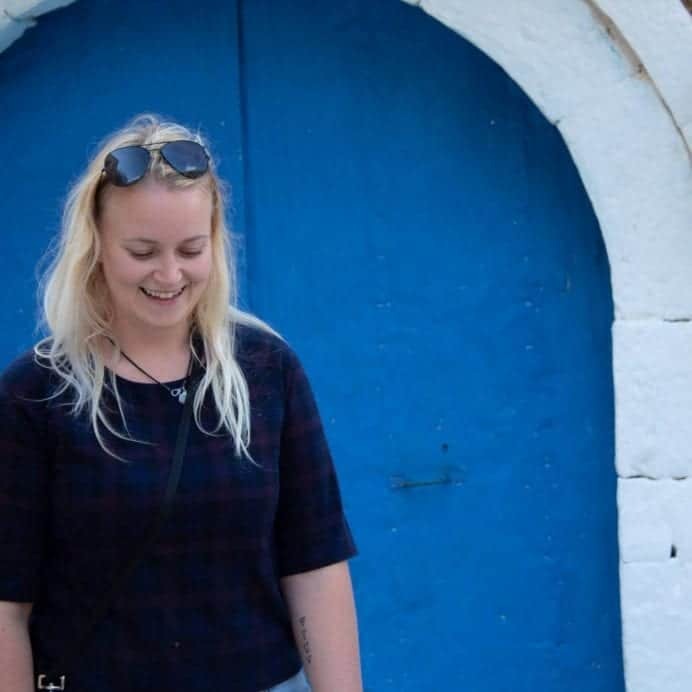 While planning a trip to Italy, I stumbled upon the Blue Grotto in Capri and immediately added it to our itinerary and how glad I added it to our plan. In fact, Capri happened due to Blue Grotto and we thoroughly enjoyed it! A ride inside Blue Grotto was one of a kind experience for us where we entered into a cave with a small opening of about 2 meters wide and one meter high. We were lucky that day as the sea was calm and there were low tides, otherwise the cave opening will get closed. 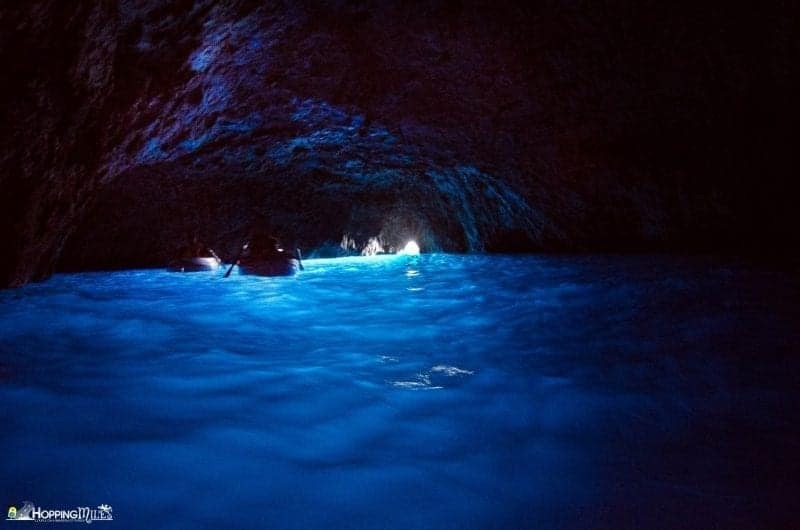 When we entered the Grotto, we were surrounded by a luminescent blue color water through which our boat waded through and the oarsmen sang melodious barcaroles that filled the air. It was an unforgettable experience. Do not miss this place while road tripping, it’s one of the best things to see in Italy. The island of Sardinia in Italy is most known for its vibrant blue waters and rock landscapes that surround it. One of our favorite way to experience these beaches is by sailing from Alghero, Sardinia. Alghero is located in the northwest coast of Sardinia and is bordered by ancient walls. 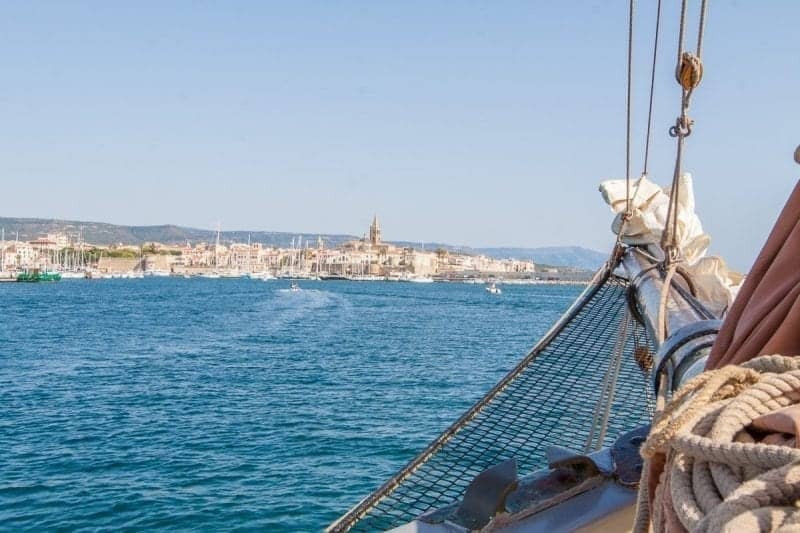 Not only does a sailing trip allow you to get up close to the waters, you get a unique vantage point of the Catalan Gothic buildings and walled perimeter of this city. There are several sailing options but we highly recommend one that offers multiple stops and serves lunch. We loved leisurely sailing with a drink in hand. As the boat come to a stop, we quickly jumped into the crystal clear blue waters. It’s the perfect way to get a unique vantage point of this historical city. This is one of the most fun things to do in Italy during your holiday! 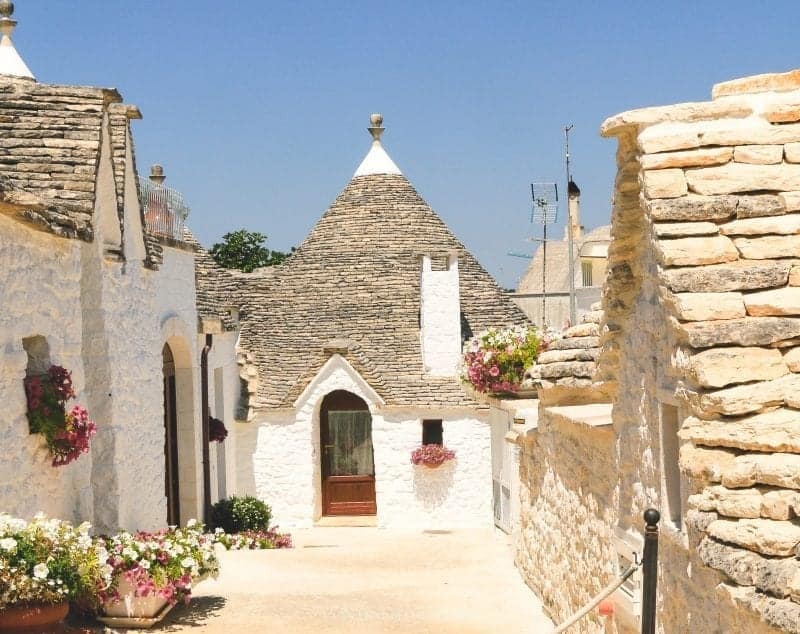 In the south of Italy, in the town of Alberobello, a UNESCO World Heritage site, you’ll find conical shaped Trulli houses. These limestone dwellings found in the southern Italia region of Puglia are examples of dry-stone construction. It’s a prehistoric building technique still used in this region. There are more than 1500 Trulli structures scattered around Alberobello. Some are still used as houses while other serve as shops. Almost all of them are white from the outside as only lime whitewash, the traditional material, is used for external decoration. Traditionally mortar was never used to build the houses as the people who first started making them did so to be able to take them down quickly to avoid paying taxes! It’s lovely to walk to the top of the town to be able to view the pyramid-shaped houses in a row. The town is usually sparsely populated unless visitors from a cruise ship drop by making it one of the best things to do in Italy by far! 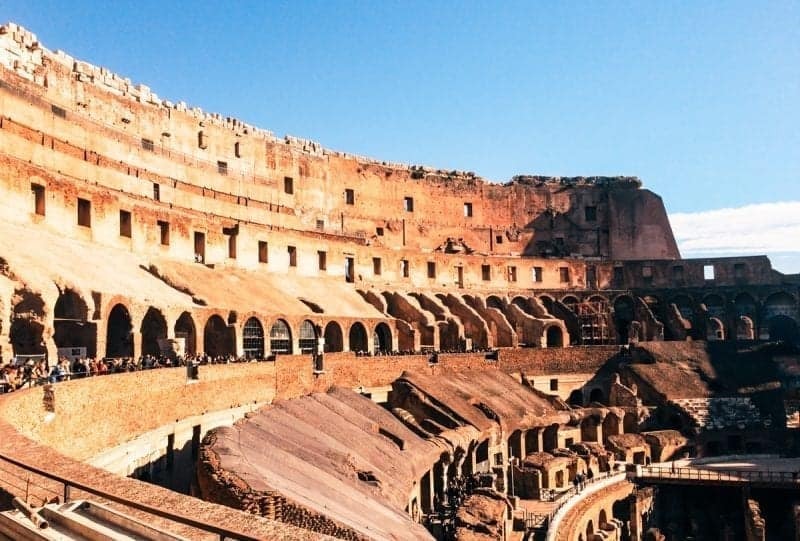 Walking into the Colosseum in Rome for the first time is a truly memorable experience and one of the best things see whilst sightseeing in Rome. Looking up from the ground level, dwarfed by the outer walls of the stadium rising steeply above, you get to appreciate the scale of the largest amphitheatre in the world. Touring the lower level, the hypogeum, is a must do in Italy. This is where the animals and gladiators were held, below the wooden floor of the arena. The smell must have been awful. Gladiators entered the arena through trapdoors in the floor and animals were winched up in cages. When full the Colosseum held 80 000 spectators. Brutal fights, executions and animal hunts attracted the crowds. In the early days, the hypogeum was even flooded to replicate battles held at sea. The Colosseum is a popular Italy attraction and one of the top things to do in Italy. To avoid queues and guarantee entrance buy your tickets in advance as soon as they are released. Exploring Trastevere and eating is exactly what I had in store while visiting this Foodie corner of Rome. I was signed up for a glorious food excursion with Eating Europe touring the historic district of Trastevere. This ancient food region and market area of Rome is oozing with many amazing bakers, wine purveyors, cave wine bars and delicious trattorias to experience in person. Every place we visited was family run for generations and a pass down of their craft or food business. Passing through ancient squares, narrow passageways with businesses tucked in and open air dining with cafes spilling out into the streets, it really is Dolce Vita in Trastevere and worth visiting this unique neighborhood of Rome. Check out more of my Rome visit here for some delicious images and the complete tour of Trastevere. A trip to Italy is not complete without experiencing the marvel that is Vatican City at least once in your life. Vatican City is the headquarters of the Catholic Church, home of the Pope, and is a city-state that sits in the middle of Rome. 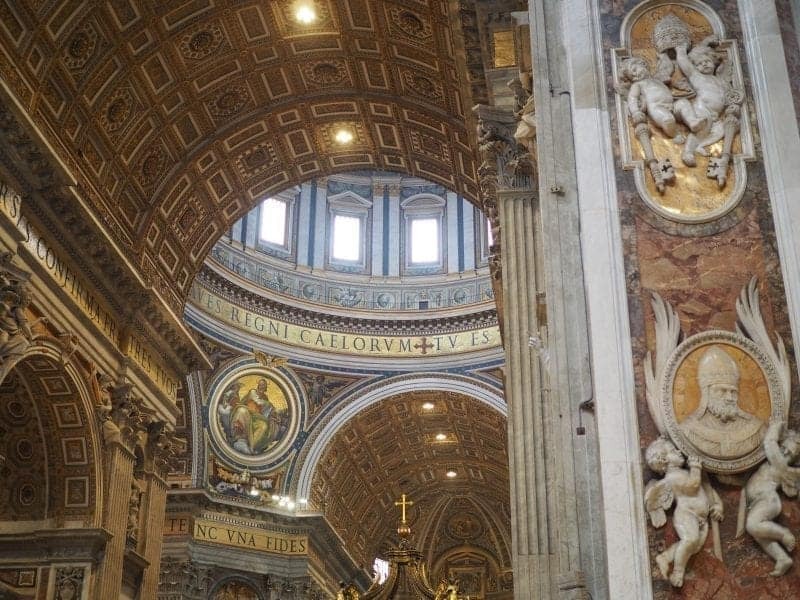 Whether or not you are Catholic, or even religious at all, Vatican City is a fascinating experience. The Vatican Museums house a mass collection of art that has been collected by the church over centuries. The popular Sistine Chapel includes Michelangelo’s ceiling and altar frescoes which cannot be missed; the artwork is truly fascinating. St. Peter’s Basilica is an Italian Renaissance church in Vatican City that was rebuilt in the 16th century. The history within the walls of Vatican City is deep and rich and worthy of a visit by any history lover or avid traveler. When traveling, sometimes its hard to know which restaurants to visit or avoid. One of my favorite culinary adventures in Rome is Touramisu, a self-guided food tour. It not only shares delicious foods and local bites in Rome but also takes you to some of the most iconic attractions like the Pantheon and the Spanish Steps. 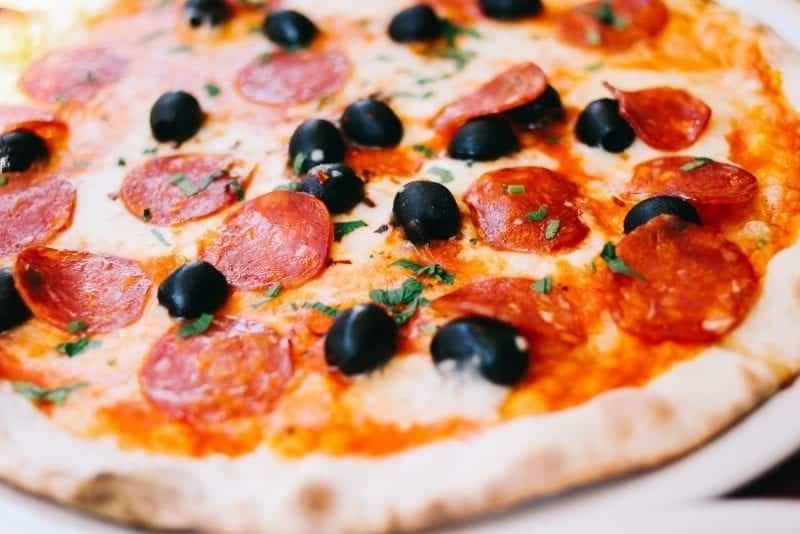 The tour provides detailed directions to different restaurants and cafes, Rome price estimates, recommended food and drink tastings and detailed food descriptions. Throughout the tour, I also learned about many Italian customs. For example, like how you don’t have to tip in Rome or how a “caffe” is a single shot of expresso an a “latte” is a glass of milk. If you could pick your top three best things to do in Italy, what would it be? Tell me below! This is an amazing list! Well, I have experiences at least a couple of them. Doing a walking tour Rome would be the best thing to do. I wish to visit Italy every year. 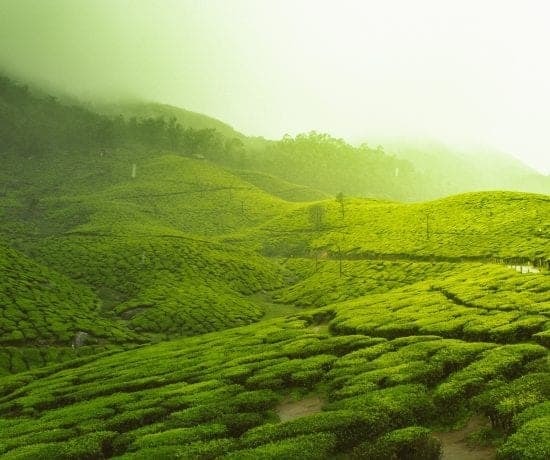 So love the country.